Heat oven to 450°F. Lightly grease cookie sheet with shortening or cooking spray. In medium bowl, stir dip, milk and parsley with whisk until smooth. Stir in Bisquick mix until well blended. Shape dough into 12 rounds; place on cookie sheet. Brush tops of rounds with melted butter. Bake 7 to 8 minutes or until lightly golden. Let stand 5 minutes. Serve warm. 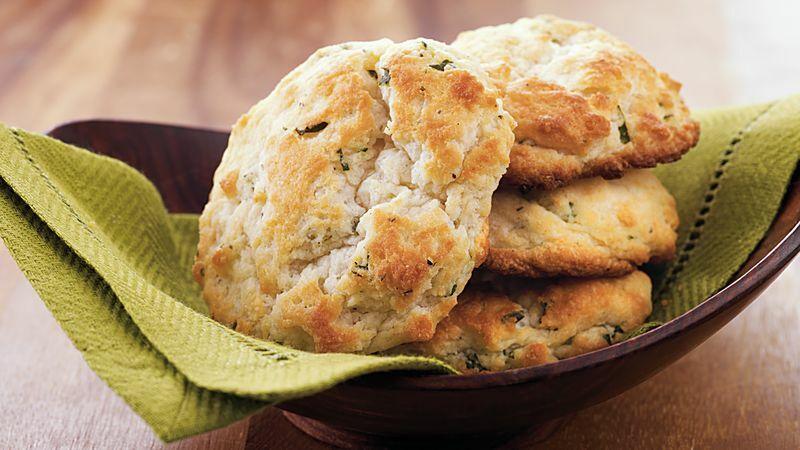 Make Ranch Biscuits by substituting an 8-oz container of ranch dip for the French onion dip.